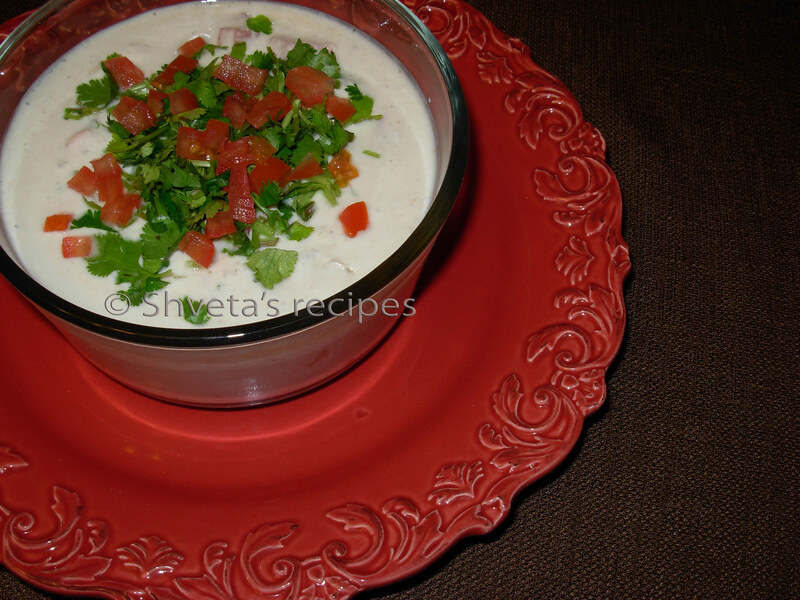 Raita is a cool refreshing condiment with spicy curries, parathas or pulavs. It can be prepared with different ingredients each time. Finely chop cucumber, tomato, onion and green chilies. Keep aside. In a bowl, beat yogurt with milk for couple of minutes to make it smooth. Now add all the above cut vegetables, mint powder, cumin powder, black pepper, red chili powder, black salt OR raita masala, sugar and salt. Mix well and garnish with fresh chopped cilantro. Serve chilled as a side dish with your favorite pulav or garma garam parathas. 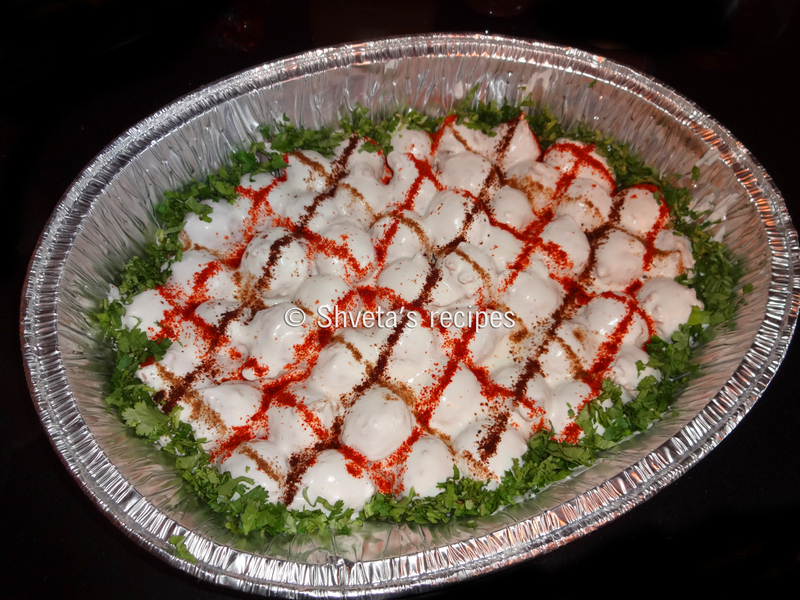 Dahi vada is a perfect summer snack. It can be made ahead of time and should be served cold, so makes it a great party dish. It is also a kid’s friendly snack. Wash Urad dal and moong dal thoroughly and soak it in water for 6-7 hours. Grind soaked dal with green chilies in fine paste using very little water. Add asafoetida powder, cumin seeds, black pepper and salt to the paste. Mix the batter for few minutes. It will incorporate some air to the batter and make it light. Heat cooking oil for frying the vadas. 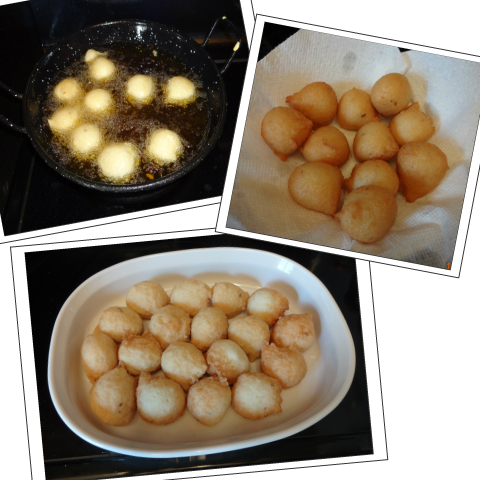 Take small lemon size batter and fry it in the oil. Repeat till all the vadas are done. It should be golden and crispy. Keep some room temperature water in a big bowl. Put the fried vadas into the water submerged. 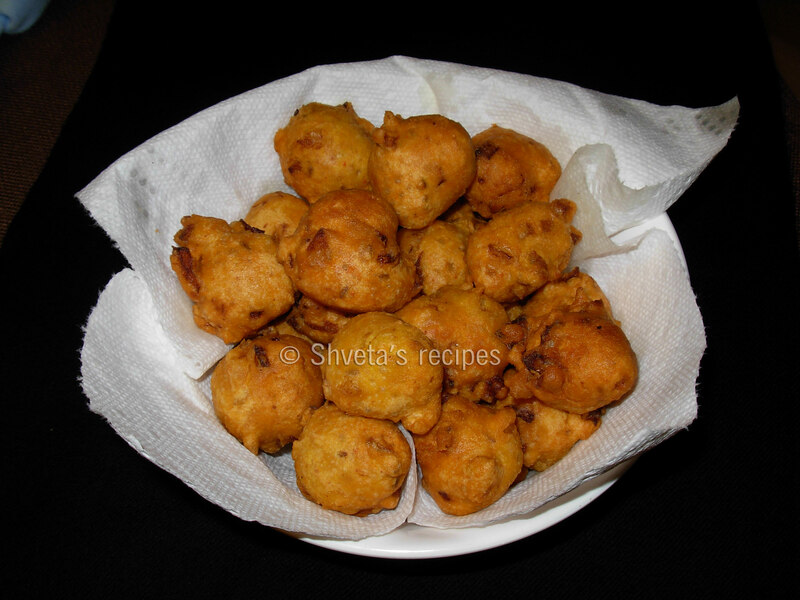 After 5 minutes, take the vadas out of water and press each vada with your palm to take the water out. 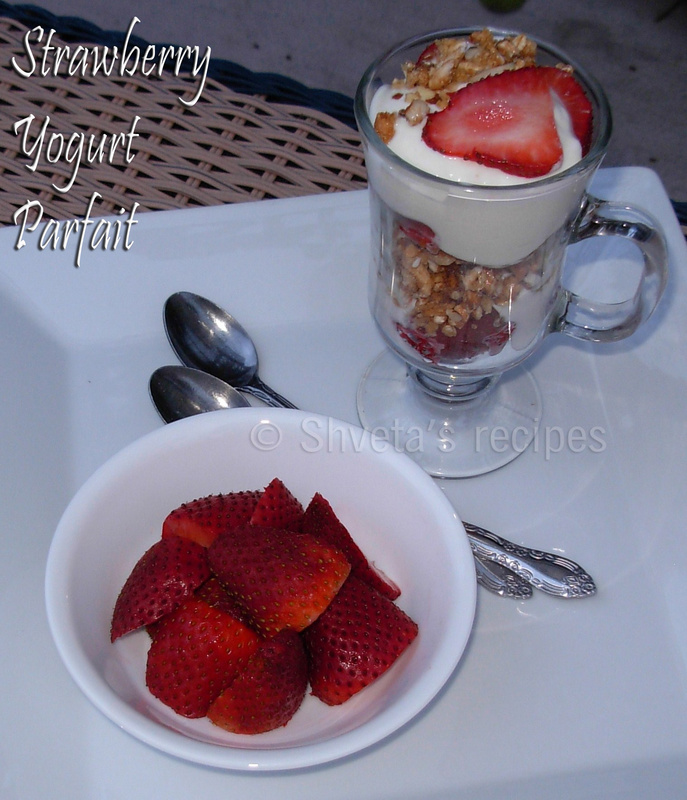 To prepare yoghurt, take yogurt in a bowl and add ½ cup whole milk and whisk evenly. Add salt, sugar and chaat masala and keep aside. 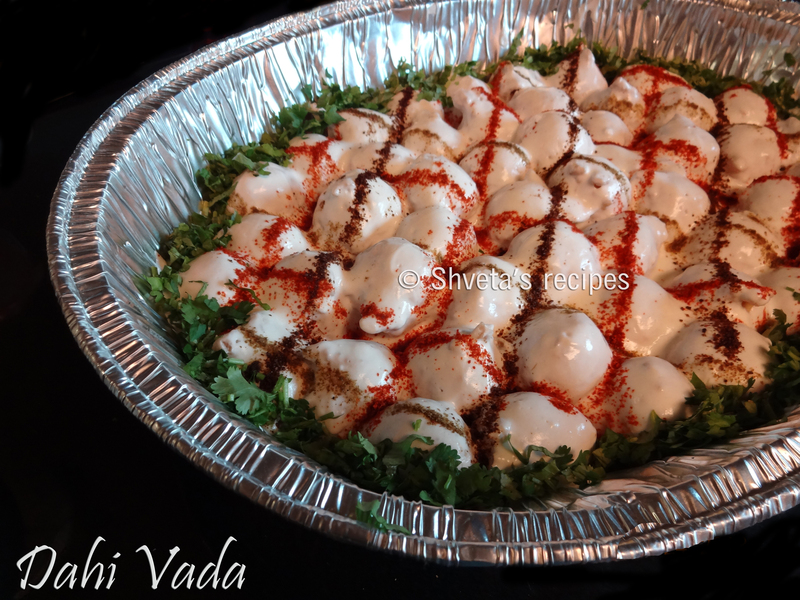 To serve, place 2-3 vadas in a shallow plate. Add yogurt on the top evenly. Garnish it with red chili powder, roasted cumin seeds, salt as per taste and tamarind chutney. Serve at room temperature or chilled. 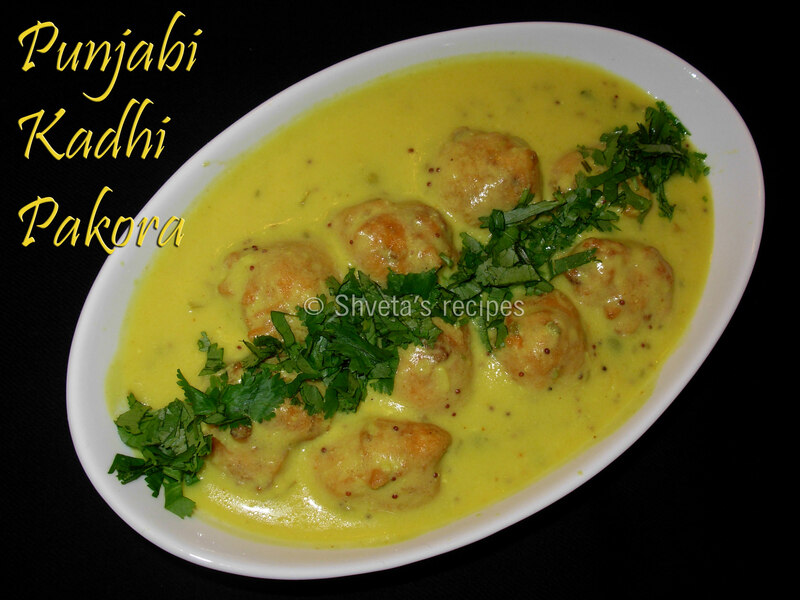 Punjabi kadhi pakora is yogurt based curry. It is a specialty of northern Indian province “Punjab”. It has fried dumplings (pakoras) made up of gram flour. 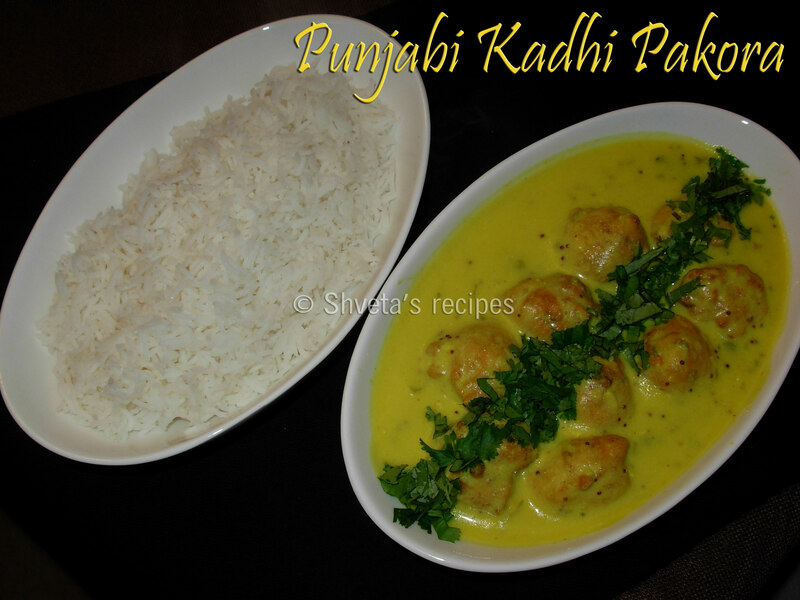 Punjabi kadhi pakora is a great combination with fragrant basmati rice. 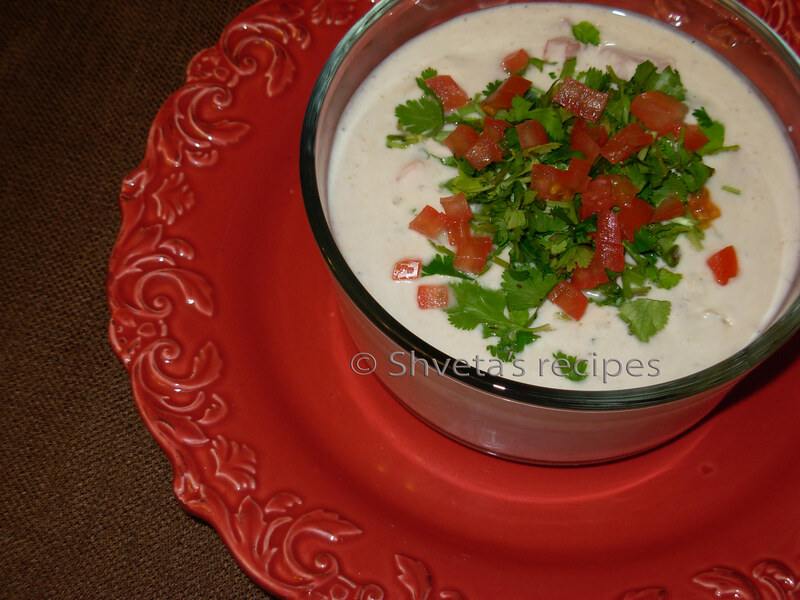 In a bowl take besan; add onions and all the other ingredients. Add water to make smooth batter. Mix well. In a pan, heat oil for frying at medium high heat. Take batter, one spoon at a time, putting it in hot oil to make pakoras. Turn them over once. Deep fry till it becomes golden and crispy. Drain them on kitchen towel. Keep aside. In a large pan, heat 2 tbsp oil. Add cumin, mustard, fenugreek and fennel seeds. When it crackles, add asafetida powder and sliced onions. Sauté till it becomes translucent. Now add ginger, garlic, green chilies and curry leaves. Sauté for 2-3 more minutes. Add yogurt and besan mix to the pan. Bring it to a boil. Reduce the heat to medium low. Stir it once. Let it simmer for 15 minutes. Stir in between a few times. Add already prepared pakoras to kadhi. Mix once gently. Kadhi pakora is ready to be served. 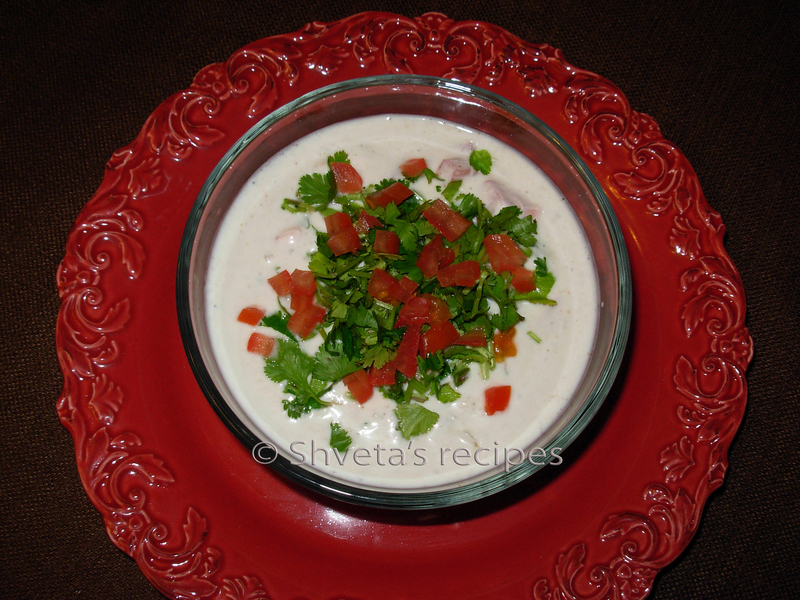 Garnish kadhi pakora with freshly chopped cilantro and garam masala powder. Enjoy with fragrant basmati rice. Serving healthy breakfast isn’t that hard. This easy recipe calls for what you mostly have in your refrigerator and pantry. And yes it requires no cooking skills :-). Lightly toast walnuts and pecans in a pan. Crush them in small bites. Keep aside. Cut strawberries in quarters and keep aside. Take four tall glasses to serve parfaits. Layer each glass with 2 tbsp of vanilla yogurt. Now add 4-5 strawberry pieces, add 2 tbsp of cereal and 1 tbsp of nuts. 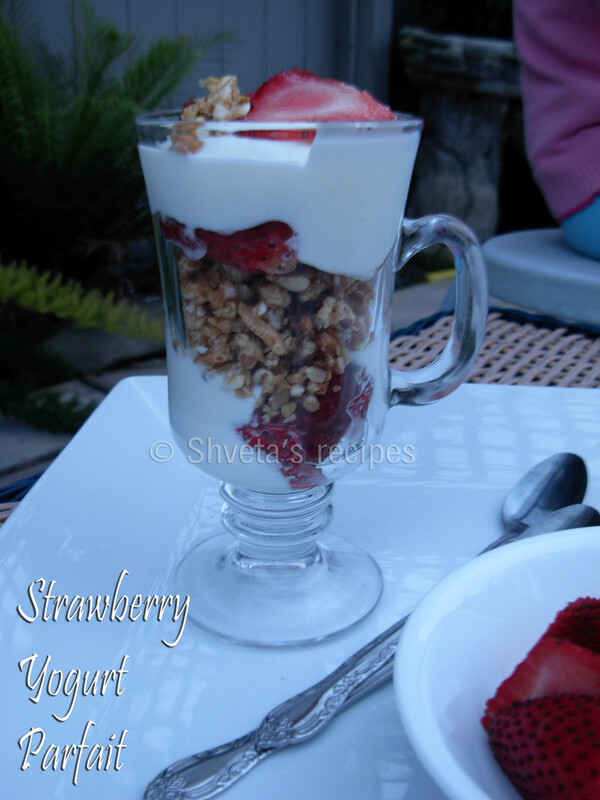 Repeat the same sequence, yogurt, strawberry, cereal and nuts in all four glasses. Garnish with strawberries. Serve immediately or for later use, cover these glasses with cellophane wrap and refrigerate. Enjoy as a yummy and healthy breakfast. 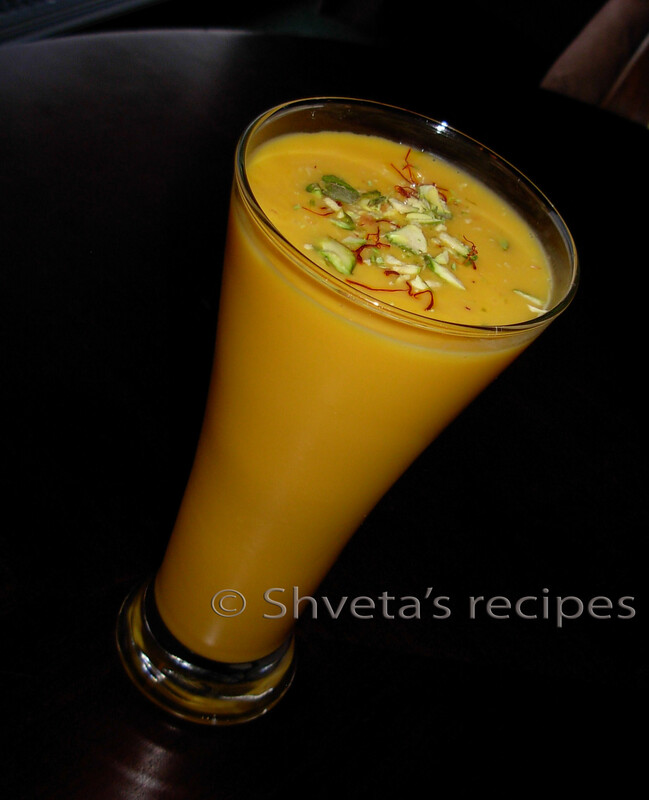 Combine mango cubes or mango pulp, yogurt, milk, sugar/splenda, saffron and cardamom powder into a blender. Blend it for 2-3 minutes. Pour in tall glasses, garnish with cardamom powder and saffron. Last weekend we had a get-together at our place. I served this dish for the first time and everyone loved it. So I wanna share the recipe with everyone. 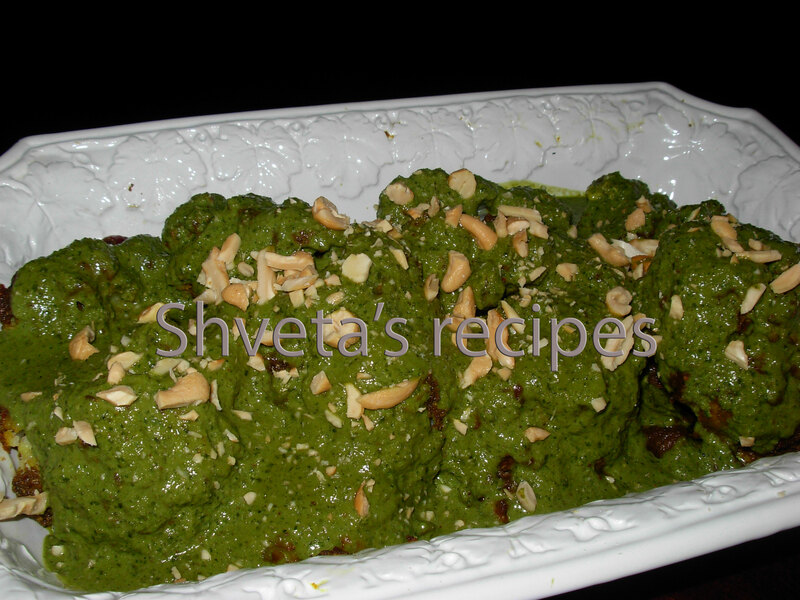 Usually Gobi Musallam calls for red gravy but I tried it with green gravy which gives it a unique flavor. This recipe has a long list of ingredients and more than few steps to cook but the end result is worth the effort. Grind all the above in food processor with very little water. Keep aside. Heat butter and oil in a pan and add the above grinded green paste. Add salt, sugar, garam masala and kitchen king masala. Simmer for 2-3 minutes. Add spoon by spoon yoghurt to the gravy and keep stirring. Simmer for 5 more minutes. Green gravy is ready. Take a big vessel, fill it more than half with water and boil. Add some salt to it. Cut the Gobi in half, put both the halves in the boiling water and let it stand for 5-7 minutes. It is now half cooked. Take the Gobi halves out of the boiling water and set it in a lined baking tray to cool down. Preheat the oven on 350 degrees on bake. Combine all the dry spices and sugar in a bowl and mix well. Now very carefully rub the spice mix on the Gobi. Also fill the spice mix inside the florets to have the even flavor all around. Drizzle some oil on the Gobi halves and place the baking tray with Gobi in the oven. Let is cook for 45 minutes. Gobi is almost ready. Place the halves on the serving dish and gently pour the prepared green gravy on it. Garnish the Gobi Musallam with slivered almonds and cashews. Enjoy with fresh roti, paratha or naan. Shveta's Cooking © 2010-2011. All Rights Reserved, unless noted otherwise. The content and images on this site cannot be published, broadcast, rewritten or redistributed without written permission from the Author.